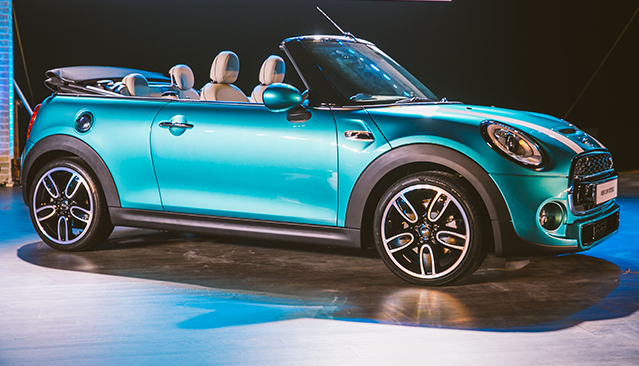 OPEN AIR EXCITEMENT UNLEASHED: THE NEW MINI CONVERTIBLE LAUNCHED IN INDIA. An unveiling of epic proportions. The new MINI Convertible was launched in against the backdrop of the open ocean in Goa – an apt location to celebrate the free spirit of MINI. This sunset spectacle showcased the new showstopper in all its glory, clearly establishing how MINI’s new avatar in India is ushering in a new era in open-top motoring. Right from the get-go, it’s clearly evident that the new MINI Convertible possesses the same old powerful MINI genes, but now it’s raring to go for an even stronger emotional experience with a new fully electrical soft top. Take into consideration its iconic exterior design, high-end interiors and generous luggage space, and you’ve got a car that’s always geared up to explore the sunny side of life.